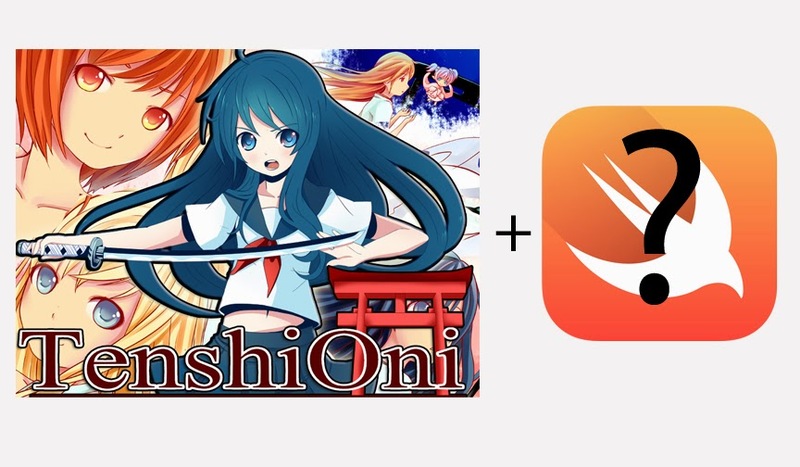 An Update On Tenshi-Oni and a New Swift-coded Game! I'm still of course working on Tenshi-Oni, my iOS game that's been on / off since 2011 (originally a Flash game concept I thought up in 2003 actually ^^;;). I will probably add some Swift code to it moving forward but, like I've stated, it's still going to be what the 1000s of lines of code already are... Objective-C. I plan on porting it to Android and with Swift being so new... it probably will be a while before Swift code can be easily ported to devices outside of OS-X/IOS. I've already came up with the game's concept and like Swift (and oddly many other iOS games) I'll be around a certain bird.. a new mascot that'll be added to the Chuck's Anime Shrine cast. 2) Shame the companies that have rejected me thus far in getting a better 9-5 day job; companies that through the moronic decision of not hiring me have kept me STILL stuck working as an underpaid "Company's Computer Guy" for a camera store. 4) Actually make some money to start which will a) maybe help me not even need a job as a programmer for another company which will then b) make my focus 9-5 be making games and not just doing them in my VERY limited spare time and c) Fund a more polished completion of Tenshi-Oni and even more future games.